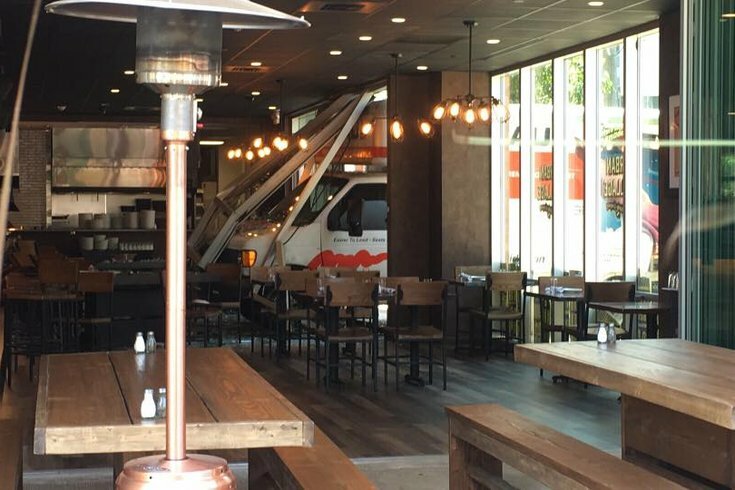 A U-Haul truck crashed into Urban Village Brewing Company Wednesday afternoon. 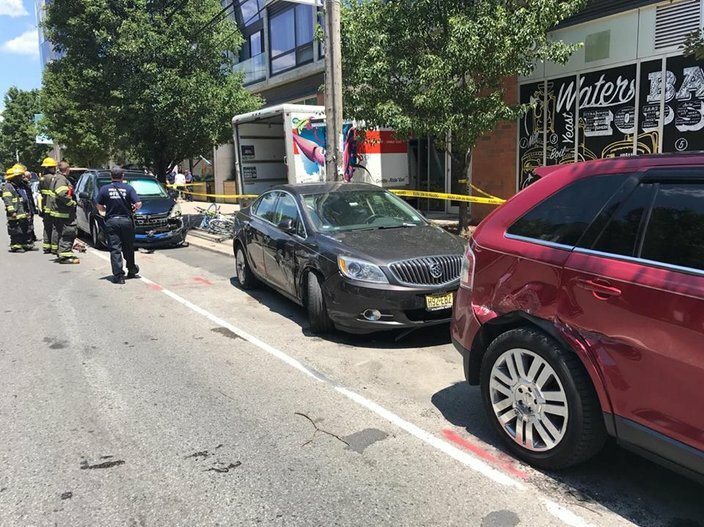 A suspected drunken driver of a U-Haul truck attempted to flee after crashing the vehicle into a Northern Liberties bar Wednesday afternoon. John Awad, who was driving on Second Street when he saw the truck careen into the glass window of Urban Village Brewing Co. around 1 p.m., began recording video as nearby bystanders tried opening the damaged vehicle's door. Then as the driver exited the truck's cab, he took off, running across the street. Awad said the driver was taken into custody not far from the scene. Philadelphia police said in news release that the unidentified, 41-year-old male allegedly had been driving the wrong direction down the one-way street when he swerved into the bar. He was taken to Hahnemann Hospital for pain in his left leg. His condition is unknown, but the truck driver additionally is in police custody charged with DUI. Photos showed damage to several cars parked nearby. One of the owners of Urban Village Brewing Co., Tom Revelli, was inside when the crash occurred. He said no one was hurt, and the only damage to the bar was to the window. "You don't expect a truck going crazy through your window five feet away from you," Revelli told PhillyVoice. Pictured is the shattered glass window of Urban Village Brewing Co. after a U-Haul truck crashed into the bar Wednesday afternoon. 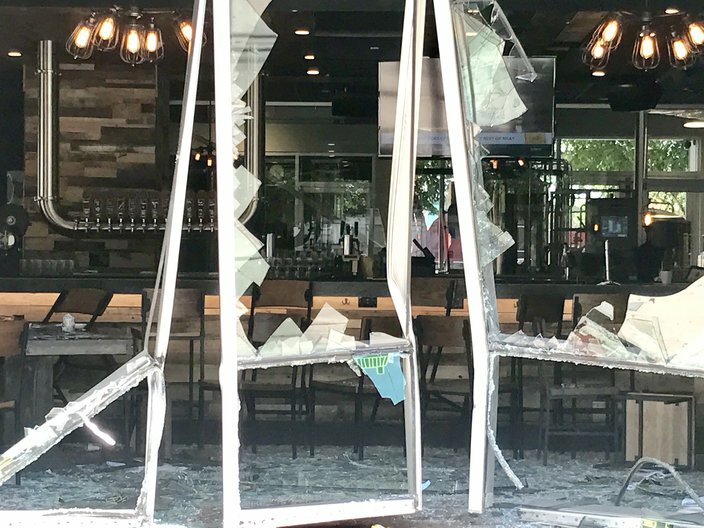 "Although the brewery windows along North 2nd Street are badly damaged, we are sincerely thankful no one at our establishment or otherwise was hurt," Revelli said in an additional statement. "We are currently working to clean up the mess, replace the windows and will be back up and running in time for dinner service."